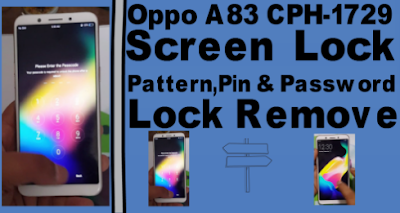 Oppo A83 CPH-1729 Screen (Pattern,Pin & Password) Lock Remove. Oppo A83 CPH-1729 Screen Lock Remove Method. 4# Trun Off phone and click volume down buttion. 5# Click Wipe user data. 6# Remove data cable and open click. 7# Now your phone lock remove.